A salon business involves huge flow of capital, patience and hard work to reach the heights of success. Indian wellness industry has seen drastic change and increase in demand of spa and salon business in recent years more than ever. According to a report by the Federation of Indian Chambers of Commerce and Industry (FICCI) and EY consulting, titled "Value Added Service - Wellness and Preventive Healthcare", the Indian wellness market is a huge business opportunity waiting to be harnessed, with significant scope for penetration, especially in areas like nutrition, rejuvenation and fitness. There is no shortcut to success which is why a roadmap makes the long distance easier to cover. A salon business involves huge flow of capital, patience and hard work to reach the heights of success, so one just cannot begin working without following a proper business plan. A proper roadmap, listing every minute detail of moving forward with the project is required. From buying or renting out space to hiring people, setting an entire business requires a lot of money, which is why it needs to be taken into seriously that from where the funding are going to come. Is there an investor or is any bank willing to provide loan? Such questions need to be answered before going forward with the project because insufficient capital might lead to debt or can be proved very risky. While framing the business plan, kindly keep in mind or sort it out, who all are going to be your customers. A range of any specific strata of society are you going to serve. Finalise which age group and income group of customers you are going to start your salon business. Market study will reveal which people fall under age group or income group range visits salon often than rest and based on that you can analyse your target customer. After your market research and identifying your target customer, finalise the location where you are going to set your business up. 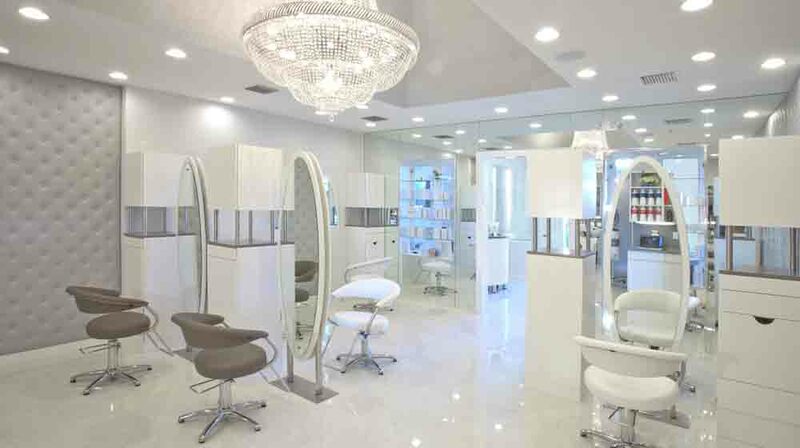 A place which will be favourable for your business, easy to locate and close to the apartments or residential areas, will be the best place to set up the salon business. If there is a mall or market complex nearby, where the crowd is frequent, then it is also a good place to set up salon. Entire salon business depends on the staff, which is why it is preferred to hire experienced, efficient and smart staff. Even if you are keeping options for home service, you can trust your staff to provide service even in your absence. In days when you fail to make it to salon, it could be taken care of by the staff. Everything boils down to marketing strategies to sell your business. Try to find a celebrity to come for inauguration, send out pamphlets and buy advertising spaces on newspapers, television and online portals to make the reach maximum. One month prior to the inauguration try to gather attention of the customers through discounts, free facials or manicure and pedicures or offer combos which fits their budget.